It was one of their worst efforts of the year. As I have watched my beloved Leafs for the past several weeks, I have grown increasingly concerned that this year, the Cup wasn’t meant to be. More recently, as a first round matchup with Boston has loomed as the likeliest scenario, I have had a sense of “Groundhog Day” – another painful first round exit to the Big Bad Bruins. There are manifestly too many flaws for this team to win it all in 2019, and I don’t think the team should aggressively “go for it” now. The Leafs are a very good team, but not elite. They have too many obvious flaws relative to say, Winnipeg, Nashville, Tampa or Washington. In some respects, the Boston game was even more upsetting than the fiasco vs Colorado, as that was a potential “statement game” that there for the taking. But the Leafs failed to make that statement. As usual, 2 or 3 boneheaded mistakes (usually by the same players) cost them the game. That, in a nutshell, is a microcosm of their season. It’s starting to feel like the Toronto Raptors. Regular season success seems assured (which is a luxury, considering the team’s history of incompetence). But like the Raptors, the Leafs appear closer to their ceiling than their floor. That said, I don’t like Jake Gardiner being singled out for the Larry Murphy treatment, but that’s also par for the course in Leafs Nation. It’s been that way since Frank Mahovlich was driven out of town. 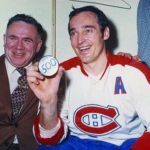 Very telling even after “the Big M” has been honoured by the team, which retired his number, that he always says his favourite time as a player was when he played for Montreal. More frustrating is the fact that Toronto’s GM, Kyle Dubas, is pretty inflexible in terms of what he thinks is required to win a championship. Nobody is suggesting that the Leafs need a goon, but for playoff hockey, they will need tougher, more talented physical players because playoff hockey time when the play is “heavier” and the room for skilled players closes down. Tom Wilson is a headhunter, which is sad, as he’s actually a very skillful player. But it’s not an accident that Washington’s record has significantly improved since he returned from his suspension. It may be more than coincidental that Dubas’s one championship during his tenure as a GM came last year with Marlies, which happened to have Rich Clune on the team. Again, I’m not saying the Leafs need a goon, but both Wilson and Reaves are not one-dimensional players. In addition to providing an intimidation factor, they can both put the puck in the neck. I’ll be the first to suggest that the book should be thrown at either of them when they do an uncalled for head shot, but watch the way the Bruins will target a guy like Marner come the playoffs (or Nylander, who unlike Andreas Johnsson, will bail out at the first sign of physical contact). And I think Leafs’ coach, Mike Babcock, also believes this to be true, with his incessant focus that the team needs to play “heavier”. Unlike many past Toronto coaches, Babs doesn’t treat the media in “the centre of the hockey universe” as an enemy, but relishes the give and take with them. More importantly, the Leafs’ coach uses the media as a means of publicly lobbying for the type of players he thinks he needs for Toronto to be successful in the playoffs. As constituted today, the Leafs aren’t fully built to do this. I don’t know why fans seem so surprised by this; it was patently obvious when you looked at the roster in the fall. Some, like Justin Bourne, made this point. The rules of the game don’t change. It’s not like we haven’t seen highly skilled, soft teams bounced from the playoffs before – it’s a regular thing every year. It’s happened to Tampa, which currently seems to be everybody’s early favourite for the Stanley Cup this year, even though (with virtually the same lineup) they too were bounced from the playoffs last year. The idea that a couple of emerging young guns and Tavares can rewrite those rules for Toronto seems like folly. But the lessons Babcock has learned through many decades of coaching clearly need to be demonstrated both to his players, and also likely to his GM. Then management can make full evaluations. Given his own history as a player (who was both tough AND skilled), I would have thought that Brendan Shanahan at least would understand this. But it sounds like the only one who talks this way is Babs, who appears to be the only person in town with a clue. Because he’s been there, won that. Enough with the complaining. How do you solve the problem? The Athletic’s James Mirtle and Corey Pronman have both made the point that the Leafs’ prospect pool is rather poor (understandable when so many young players have now “graduated” to the big club), and the club will therefore be wary about moving players such as Kasperi Kapanen or Andreas Johnsson when both have become key cogs in the top nine over the past two months. So that leaves draft picks to trade. But the problem is that you’ll need those to have sustainable success, especially given how much salary cap space will be taken up by the team’s big 4 – Tavares, Nylander, Marner and Matthews. No team is going to help the Leafs by taking on a bad contract for nothing, so Toronto will likely need to take a bad one back in return. 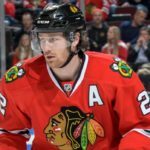 Hence, the idea of dealing Nikita Zaitsev (a very polarising player for Leafs’ Nation) for Duncan Keith. Steve Simmons at the Toronto Sun first mooted this idea last month. Like Patrick Marleau, Keith is a stalwart who still appears to have lots of gas in the tank. True, he’s a LH D-man, but capable of playing either side (as are Rielly and Dermott). And he has a nasty edge, which the team is lacking right now. So perhaps a player to consider, if it means dumping Zaitsev’s contract. It runs until Keith is 39, but it’s 3 years less than Zaitsev’s deal, and even at his advanced age, Keith is a much better player, as well as sustaining multiple years of playoff success. That’s a hugely valuable commodity for Toronto’s young players to absorb. He’d instantly be the most playoff-hardened player on the squad. It is still worth recalling that it was only 3 years ago that Toronto was the worst team in hockey. They’ve come a LONG way in a very short period of time. And the core is still young. This is a process, their first year as a true contender. The Leafs need to get bloodied to realize what it actually take to win, not in November, but in April. That Pittsburgh and Washington are now rising again is unsurprising. Good teams often start slow. It’s hard to get the Cup winners’ attention in the early part of the season. That’s when teams like the Rangers or Edmonton sustain winning streaks that gives their respective fan bases a taste of fool’s gold. But as the season goes along the good teams get better and the bad ones fade. The question is which one are you, Toronto? For the Leafs, I don’t think they’ll fade because there are too many weak teams that they’ll crush on skill alone. But the playoffs will be a major wake-up call, as the last few games have clearly illustrated.